Sean Oberschlake has worked in the home theater and audio/video industry for over 20 years. 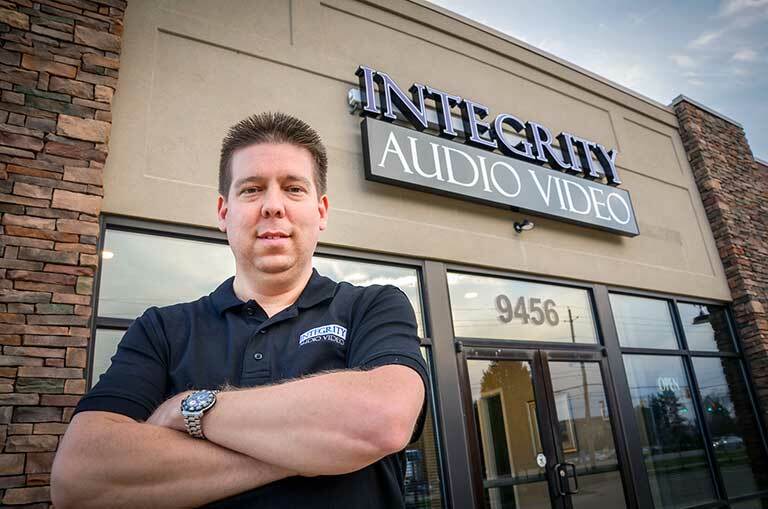 With a passion for home theater, Sean has built a team at Integrity Audio Video, LLC, to provide superior consultation, custom solutions and installation services in home theater and home automation products. Technology is certainly more advanced than ever, however, if designed correctly it has never been simpler to use. With the finest selection of high quality products in the Dayton area, our experienced professionals will help guide you through design and installation. We are conveniently located just south of Dayton, minutes from Interstate 75, Austin Landing and the Dayton Mall. Stop by our new location at 9456 Springboro Pike and experience our interactive showroom. We love to talk about home theater and would welcome the opportunity to explore how technology can enhance your home or office space.